My daughter ask me to make 36 Candy Corn cards for my grandson's Kindergarten class for Halloween, no excuse me we can't celebrate Halloween it has to be Fall. 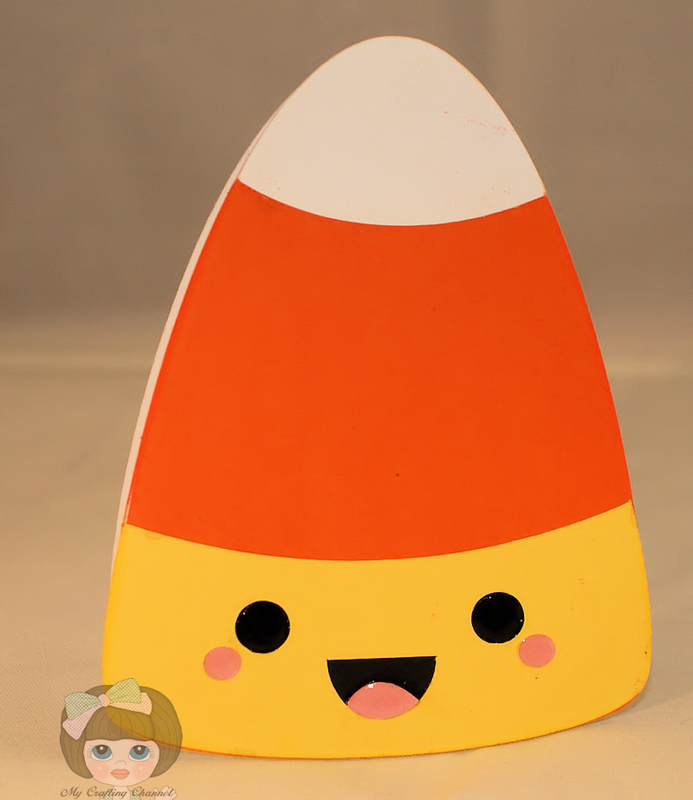 I found this really cute SVG file for Candy Corn and was able to turn it into a shaped card. This card was so quick and easy that I want dread making 35 more. I think it is cute. What say you. -Inspire Me Fridays 77 - Anything Goes! I say this is adorable and I love candy corn! Super duper cute! The kids are going to love it!! This is sooooo adorable and looks so easy to make!! I love projects that can be massed produced especially when they are for the kiddo's! this is just too stinking cute. Sweet and just a bit corny sometimes...just like YOU!! LOL I hate making lots of anything so have fun with 35! I just finished 31 shower invitations and what a JOB!! I saw a card like this on one of my Carts and I am going to make this because THIS IS SOOO CUTE!Stinkin Cute!! lol....this is too much!Too Cute and Funny too! the kids will love it!I DO!You are Amazing!! I love its cute little face! Great job! This is fab, Nana - super adorable. It is gorgeous Nana,I like the little face. Ohhhh, that is just the cutest!!! Now only 35 more to go for your daughter, huh?!!! LOL!!!! She'll be so happy with those adorable candy corn cards. I like this card very much. The sad thing is I cannot any other cutting other than my Cricut Cartridges - I am amazed at what others are able to do - I purchased my Circut later and the program was no longer allowed on the Circut - very much card however, fun! Super cute! Love the faces. Your grandsons classmates will love them! Absolutely charming & sweet! These will go over quite well. It is definitely a design that will be simple enough to replicate especially if you are making lots. Now that is one candy corn that is just too precious to gobble up! Love it! So adorable! The kiddos are sure to love them! 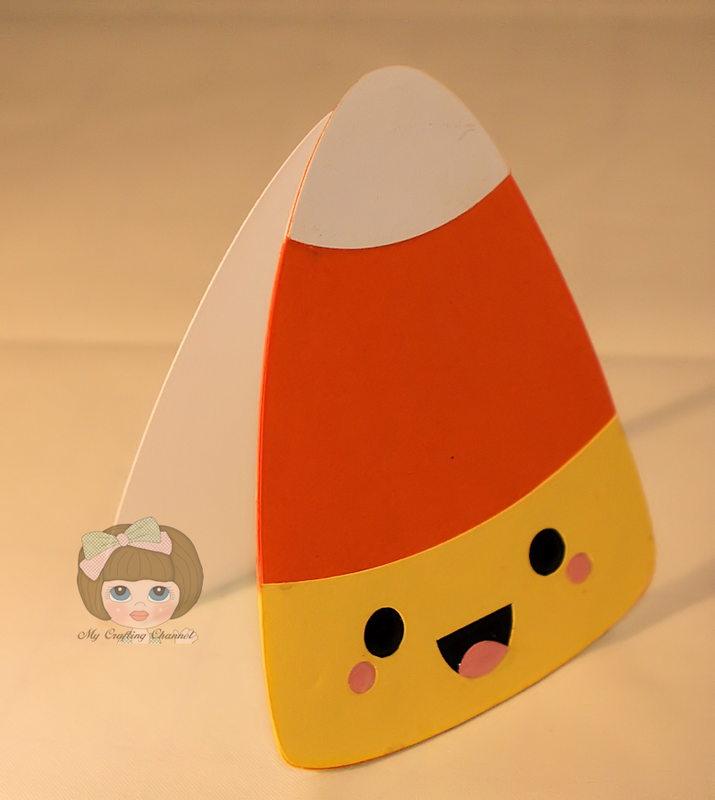 This is so cool I love this cut and I just love all the colors you used for the candy corn. I say its perfect! THey're going to love them. super cute and yummy!! I love candy corn!! Absolutely adorable!! I love candy corn and this one is so cute!! I know the kiddies LOVED these! !